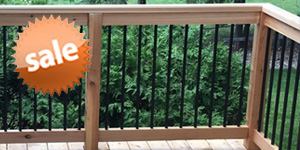 Durables Vinyl Deck Railing is an economical and classic deck railing option. 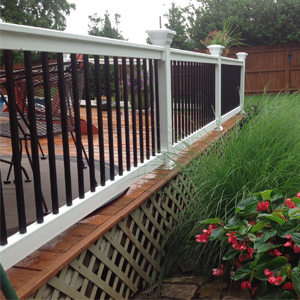 As the name suggests, this railing system is built to withstand the test of time. The vinyl exterior provides a maintenance-free system, while the aluminum inserts lend it stability. Customize this railing to your liking with several rail style options, a variety of colors, different top rail profile options, and a variety of baluster shapes and materials. 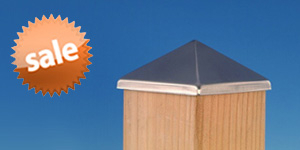 Why We Love It: Extremely durable and popular system. Why It's Unique: All of the custom options make each system its' own. 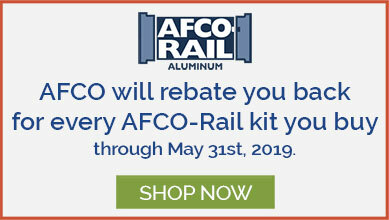 Why You'll Love It: Tons of choices from rail style, baluster style, post cap style and more.